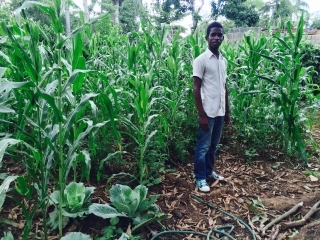 Backyard gardens help break the cycles of malnutrition and poverty. The students are required to plant gardens for their families then teach others what they learned. Initially, the produce is to be shared with their family and those in need. Once the community demonstrates decreased levels of hunger and malnutrition, THEA teaches business practices to sell surplus produce to sustain the program and increase community economic development.